Members of Girls' Coding Club working on their laptops to learn coding. Photo by Yoon Chae-eun. Free Code Camp Helsinki participants engage in active discussion during their weekly session in Oodi Library. Photo by Kim So-jung. Kids’ coding expert explains how to start programming early. Photo by Kim So-jung. 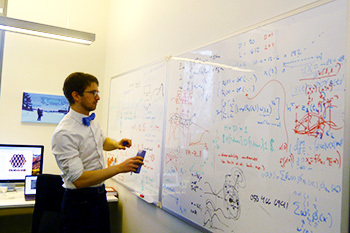 Solin is writing formulas on the white board in his office. Photo by Kim So-jung. 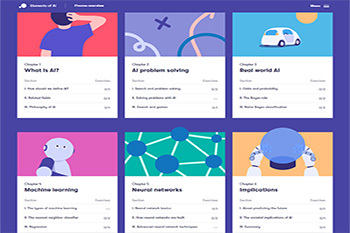 The course overview page of Elements of AI, a Finnish-MOOC curated by Reaktor and University of Helsinki. Photo provided by Elements of A. The first part of this series gave a general overview of the principles of Finnish education and glimpses of Finnish college classes. In this issue, we take a look at various types of IT education, spanning from college to grassroots learning. While education on coding is growing in Korea due to government policies, such as making coding mandatory in elementary schools, Finns’ high interest in coding is partly due to the lack of coders in the country, and the opportunities for people with these skills. Korea is facing a sudden boom of coding in private institutions since coding became mandatory in schools in 2019. Meanwhile, Finns are gathering independently to figure out how to code to meet their various personal goals. In order to learn how they do so, this series cover grassroots IT education, college classes and university-developed IT education for all citizens. Rather than relying on a single teacher or a group of instructors, Finnish people are learning IT from one another as a form of grassroots education. To take a closer look, Ewha Voice visited two community coding groups in Helsinki. 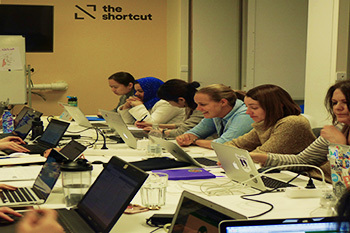 The first visit was to the office of The Shortcut, a non-profit organization that runs the Girls’ Coding Club. Before joining the regular Wednesday-evening meetup, Ewha Voice met Anne Badan, CEO of The Shortcut, and Galina Rusinova, leader of Girls’ Coding Club, to learn how and why the club was formed. The club has members from 33 different countries, 74 percent of whom are aged from 25 to 34 years old, with around 21 percent aged between 18 to 24 years old. Badan explained that about 20 people join each weekly meetup, with 78 people signing up for the club in the last year. When Ewha Voice visited on Feb. 6, there were a total of 14 members in the session, including Rusinova and Badan. Club members gathered around a long rectangular table and opened their laptops at 6 p.m., ready to start work. While one might expect coding to be led by an instructor, there was no formal teaching during the session. Rusinova knows coding well, but did not directly teach the group. Instead, everyone worked on their own using the FreeCodeCamp curriculum, a website from which you can learn coding for free. Heta Kangasniemi, one of the members of the club, shared her thoughts on how the session is run. When stuck on a certain piece of code, members can ask one another about what they are doing wrong. This allows them to learn from each other, instead of from a single instructor. “If you have any questions, ask your neighbors. Then, ask me,” Rusinova said, giving a flavor of how the session is run. Although members can ask Rusinova questions, she encourages them to find support from others before coming to her. The writer from Ewha Voice, who visited Girls’ Coding Club, also joined the table that members were gathering around. 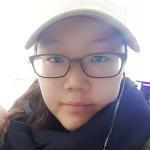 Having barely any knowledge in coding as a student majoring English language and literature, it was not difficult for her to follow the FreeCodeCamp curriculum. The program only asked her to do small things one at a time. Kangasniemi shared why she feels comfortable at the club. Another member of the club, Haru Lehmusvirta, also said that she feels happy at the club. Similar to Girls Coding Club, Free Code Camp Helsinki is a grassroots coding meet-up. Anyone can join regardless of their nationality, profession or background in IT. There are no entry requirements such as interviews, or tests or joining fees. It is run by two Helsinki-based developers – Tiki Shabudin, a Malaysian developer who works for Microsoft who moved to Finland in early 2018 and Pekka Pönkänen, a Finnish software developer for Elisa, a major telecommunications company in Finland. These developers and Free Code Camp do not receive any funding or sponsorship from external organizations or their workplaces. Free Code Camp is a free coding curriculum available in website form made by US developers, largely to help nonprofit organizations or communities such as the one in Helsinki to thrive. “We are completely grassroots in every respect – we book our own venues, provide these coding meetups for free, and sometimes if there are no public spaces available for our sessions, we even use our workplaces," Shabudin said. The meetup that Ewha Voice took part in, was held at the newly-renovated Oodi Library, otherwise known as Helsinki Central Library. “Booking public spaces in Finland, is of course free – it is one of the benefits of paying so much taxes to a social democratic state,” Pönkänen said. The coding community makes the most of free resources to run its sessions – including meeting spaces and online teaching materials such as FreeCodeCamp software. As such, the group does not need to charge participation fees. This is in strong contrast to Korea, where most coding classes are offered by private programming academies. In Seoul’s popular education districts such as Gangnam, Songpa, or Mokdong, where a course that meets once or twice a week starts at 200,000 Korean won per month. However, in recent years, Korea is also seeing more grassroots education opportunities arising. Although Korea has a huge private education industry designed to serve eager students and their parents, there is also a less-noticed movement of university-based clubs and organizations springing up – such as the “Like Lion” inter-university coding club, managed by the eponymous non-profit organization. Free Code Camp Helsinki demonstrated another aspect of grassroots organization: meeting the demands of learners. Instead of coming with a predetermined curriculum, or lesson plans, Shabudin constantly asked what students would like to learn and why they had come to the coding session. “What programming language or IT skills would people like to focus on?” he asked the group. In response, attendees listed the numerous programming languages and skills they were interested in from Java, Python, and C++ to web development. Most people did not attend with the intention of taking up coding as a hobby, but hoped to turn it into a professional skill to land a job that requires programming skills. One participant mentioned that he would like to enhance his programming skills to become a developer. Shabudin himself also pointed out the strong job and career opportunities that coding can bring participants. “If you manage to finish FreeCodeCamp, the entire six-month curriculum online, that could get you a job as a junior web developer." Finnish universities are providing IT education for university students as well as all citizens. To look at one of the IT education classes provided for university students, Ewha voice visited three different scenes. 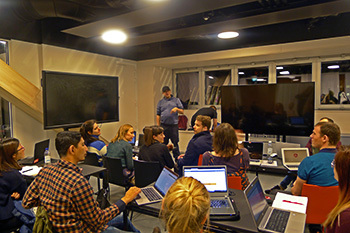 Arno Solin, an assistant professor at the Department of Computer Sciences at Aalto University, opened a new course named “Introduction to Artificial Intelligence.” Its first class started on the last day of February. Solin explained the reason for designing an elective course in AI for non-IT majors. Solin explained why it is important to understand AI. Solin explained that his course will have visiting lecturers to give a better idea about how AI can work in more specific fields, such as in applications, finance and others. As privacy-related ethics is a hot topic nowadays, he also plans to cover it in his lectures. However, when interviewed in early February, before the course started, Solin was still finalizing the course content. As Solin is not a strong believer in exams, he hopes to motivate students to be constantly interested in the topics he deals with instead of focusing on making them take tests. The scientific programming course provided by the UH is open to all students, including those without a background in coding. The course consists of two classes a week, a lecture and a lab session. When Ewha Voice, visited the lab session, there were only eight students in total, with two of them arriving late. However, there were two instructors in the class. They did not provide formal teaching in front of the classroom, as is done in the lecture, and only helped students if they had any questions. When students raise their hands for help, one of the two instructors helped them find out what they were doing wrong. Cowely further explained that as students learn more difficult exercises as the course goes on, more join the lab session. Since there were no prerequisites for the course, he understood that there were students with varying backgrounds and abilities taking the course. Elements of AI, the first course of its kind, known as Finnish-MOOC (Massive Open Online Course), or F-MOOC for short, is an introductory course on artificial intelligence (AI) developed by the University of Helsinki (UH) and Reaktor, a private consulting firm based in Helsinki. Created in a joint effort between Professor Teemu Roos, a computer science professor at UH and the Reaktor team, the course brings together the most basic tenets of AI. More specifically, it focuses on real-world applications of AI, such as machine learning and neural networks. Although the UH and Reaktor first started the course in spring 2018 with no grand goals, it soon became very popular. 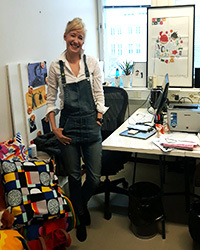 “I had never designed a course before, let alone a MOOC,” said Janina Fagerlund, a consultant at Reaktor. “However, we thought the project of making a MOOC that explains AI would be well-received, and we started straight away. Once we set our minds to it, we created a roadmap and worked towards making this course work”. That goal became to have at least 1 percent of the entire 5-million Finnish population take the Elements of AI course. With the efforts of numerous parties including professor Teemu Roos, the Reaktor team, and Nokia chairman Risto Siilasmaa, the team was able to achieve this. “Any Finnish citizen, regardless of their background could take the course. In order to strengthen our reachability, we also made partnerships with companies, which allowed their employees to take the course – resulting in a trickle-down effect,” Fagerlund said. Even though learners can start the course at any time, and are not tied to any strict rules on completion, the first run of the course was successful. The one percent goal was met by far, with more than 60,000 people enrolling in the course. The team even managed to export the course overseas under the brand name F-MOOC. “We received so much attention, media coverage, and positive feedback from learners that we had a graduation ceremony on last Sept. 6 for the Elements of AI course, in front of the Helsinki Cathedral with the president of Finland, Sauli Niinistö, also attending,” Fagerlund said. Children’s author and international coding education activist Linda Liukas stressed the importance of inspiring kids to code from a young age. She first started a Kickstarter campaign to raise $380,000 in 2014 to fund the publication of her coding-education book for children titled “Hello Ruby: Journey Inside the Computer.” Many know her from her TED talk “A delightful way to teach kids about computers,” which has received nearly 2 million views on the TED website. She met Ewha Voice to discuss what it means to teach coding to everyone, especially children. Liukas used her previous experience, including working for the popular U.S.-based self-learning coding website “codeacademy,” to inform her book, "Hello Ruby". This publication has also taken her to many places in the world, as it is published in over 22 languages. She stressed that it is important to help children learn coding in a fun and approachable way. Liukas emphasized that coding is not as such a hard and challenging study, as most people think it to be.